My family and I were invited to a very early screening of Paddington 2, over a month ago. I’ve been itching to tell everyone about this amazing family film, and the time is finally here! Paddington 2 arrives in theaters officially this weekend, January 12! Although we did see the movie for free, no other compensation was received, and all thoughts and opinions are my own. Amazon affiliate links are used within this post. Paddington Bear was an icon of childhood for so many of us. I loved his books – his sweet personality and his silly adventures in London – when I was a kid. 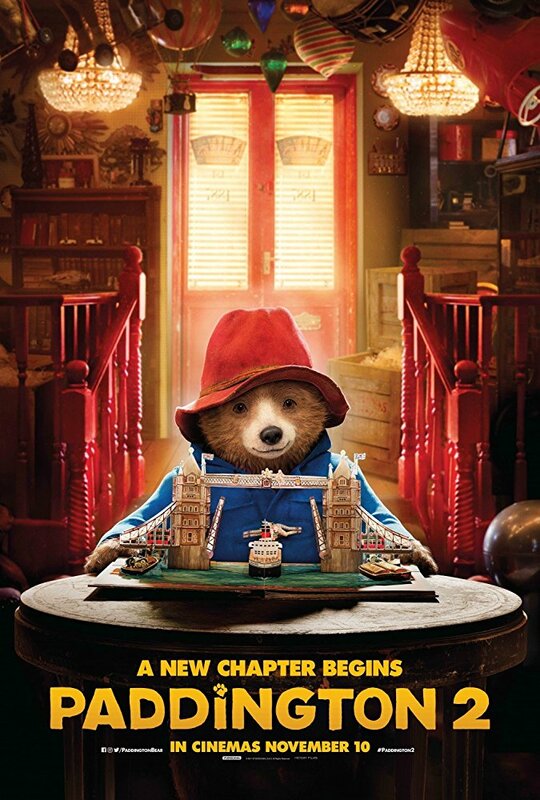 When the first Paddington movie came out in 2015, I almost wrote it off as a movie JSUT for kids (you know the type). 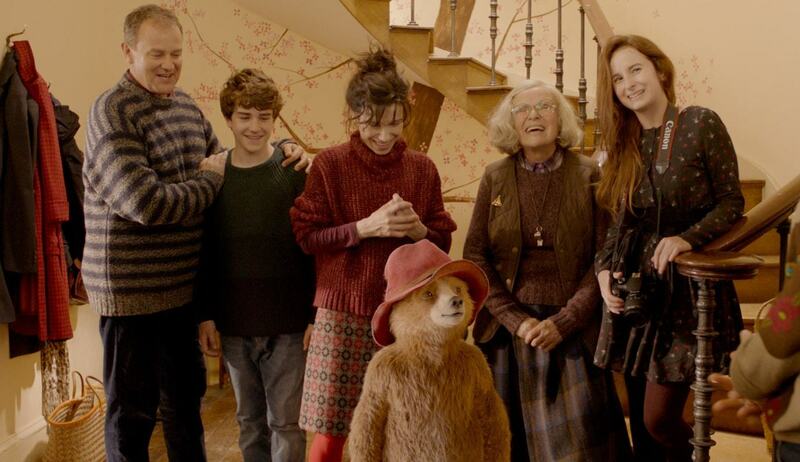 I never imagined that Paddington would be equally as loveable and enjoyable for adults as well as kids. But despite how much we liked the first Paddington movie, I was surprised by my almost 17-year-old son’s reaction when we were on our way to see Paddington 2 in the theater last month. He asked, “So, what are we seeing, anyway?” (typical question from the child of a blogger who gets dragged around to activities for my blog!). When I said, “Paddington 2,” his face lit up and he said, “Oh, yay! I love Paddington.” Like I said, NOT the response I was expecting from my teenage boy. So…how did we like Paddington 2? Did it live up to Paddington 1? In fact, we all thought it was EVEN BETTER than the first. Better story, more laughs. We laughed throughout the movie. We fell in love with the characters (talk about an all-star cast!). We couldn’t stop talking about favorite scenes and favorite characters on the way home. And now, a month later, we are all eager to go back to the theater to see Paddington 2 again. This time, we’ll bring the 18-year-old who was busy when the rest of us saw it. I highly recommend Paddington 2. In fact, I can’t say enough about how much we loved it. This is a movie for everyone (and yes, it’s totally acceptable for date night without the kids – I promise you will smile the entire time and walk away feeling happy. You may even shed a tear or two at the ending!). I won’t divulge too much of the story, but Paddington’s adventures take him to an unlikely place – prison! – where he meets some rather rough characters who add a fun (and very funny) dimension to the film. Head out the the theaters this weekend and catch Paddington 2. You won’t regret it!